The Social Tree offers Social Media Marketing to businesses in Adelaide, Sydney, Brisbane, Melbourne, Darwin, Perth, Canberra and all other parts of Australia! Worried you won’t be able to handle regular, consistent and time consuming work on your social media accounts yourself? Don’t stress, we can handle your online activity for you! With weekly planning we can monitor and maintain your online presence for you and alleviate the stress of adding ONE MORE THING on your already busy plate. This particular service can be utilized in a 3, 6 or 12 month contract. Community Management pricing starts at just $150 per week! A Social Media Campaign is a short term marketing campaign run on social media platforms with the intention of reaching short term business. They are carefully developed, synchronously implemented and strategically timed to boost activity in some way. An often unexplored channel for advertising in the SME sector of business, YouTube marketing could be exactly what your business needs to boost its reach, exposure and visitors to your site. LinkedIn Advertising provides businesses with the opportunity to reach a different kind of clientele through social media channels. Similar to Facebook advertising, we can manage your LinkedIn advertising campaign for you to make sure you see the strongest return on investment. 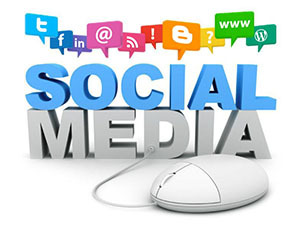 Social media enables businesses to connect with their customers at a deeper level than that offered by almost all other communication mediums. But in order to achieve this, it is vital you have a tailored social media strategy; to give a more comprehensive outline of who you want to talk to, how you are going to reach them and the tactics for ensuring that this is done as effectively as possible. Without one, you can end up wasting a lot of time and end up with little to show for it a trap that is all too often fallen into. Get a Social Media Management team today. Now available for businesses in Adelaide, Sydney, Brisbane, Melbourne, Darwin, Perth, Canberra and all other parts of Australia!